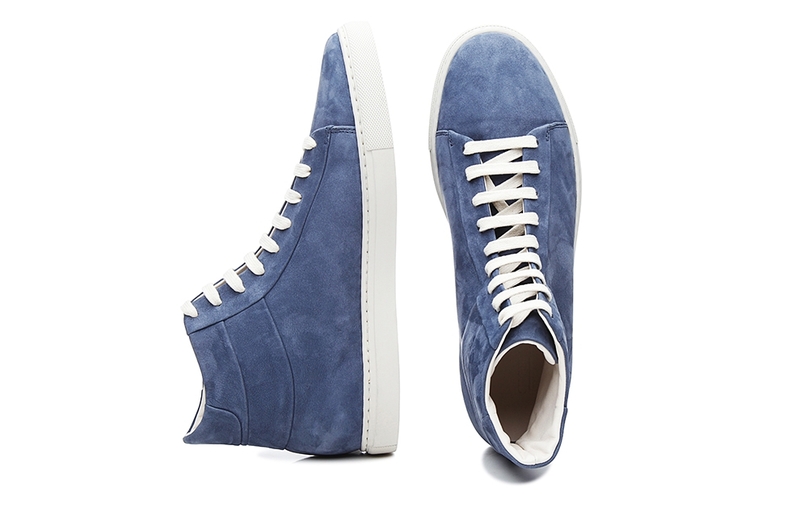 Trainers are the most popular casual shoe in the world, and a never-ending fashion trend. You’d think you've already seen every type of trainer imaginable. 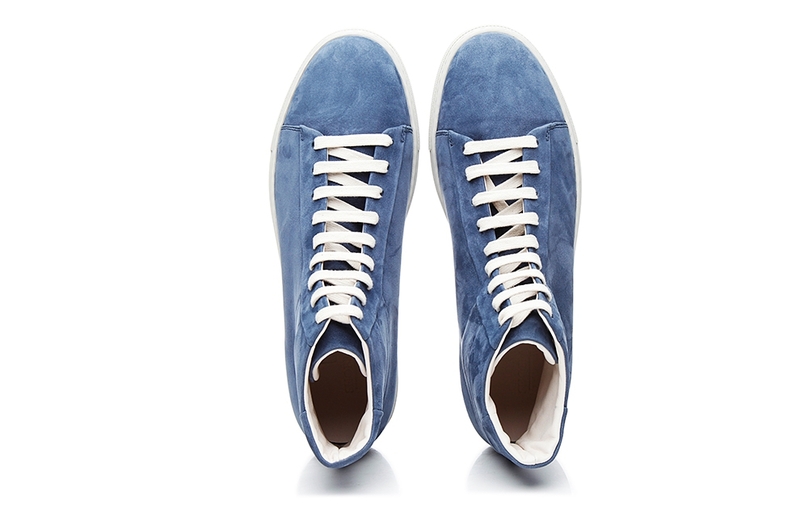 And yet the elaborate, hand-made trainers in of our collection, made in Italy and Portugal, are something very special. Fashionably created in keeping with the spirit of the times as either low-cut or high-top, with a decorative hand finish, or deliberately kept in purist elegance, our models impress and are 100 percent "Made in Europe". Thanks to their quality, these modern all-rounders are impeccable. 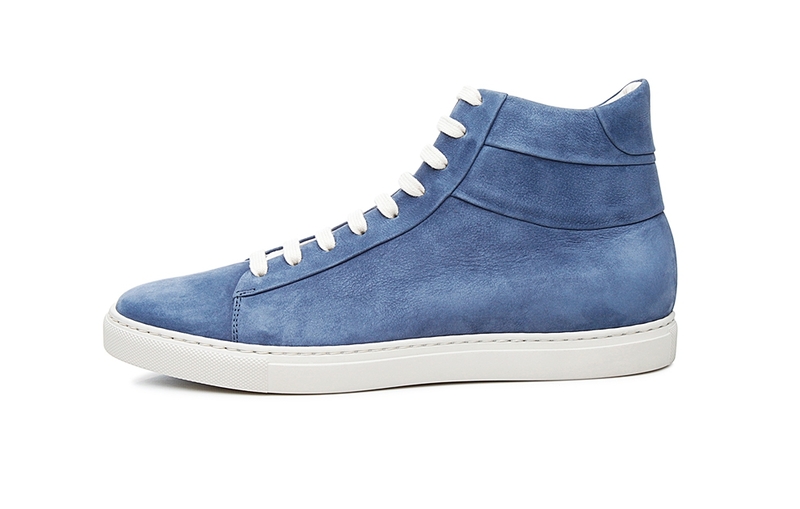 For men who want more than just to follow a trend. 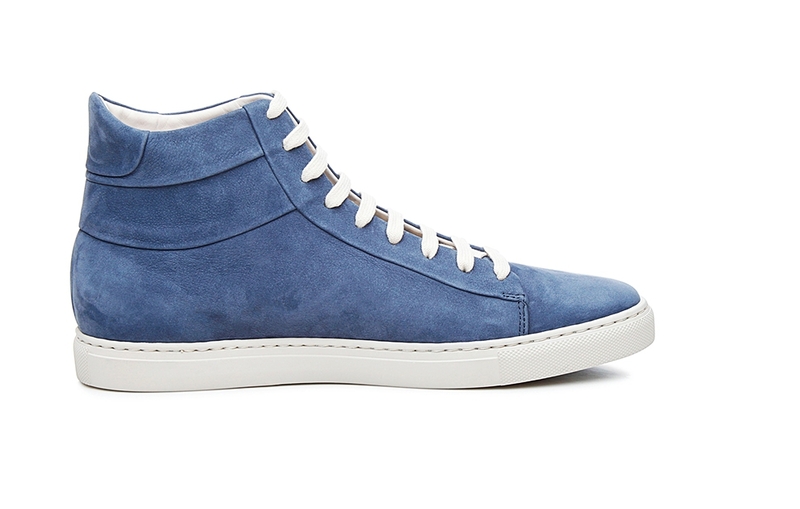 In its beginnings in the 1920s, the high-top trainer was a simple sport shoe, which also established itself as a firm part of any man’s casual wardrobe thanks to its visual appearance and functionality. Over time, this comfortable lace-up shoe has undergone a number of different improvements in order to fulfil the expectations of fashion conscious men off the sports field. Model No. 42 MS of our »Italian Line« recalls the strengths of beloved men’s trainers and combines them with first class materials and a lovingly detailed manufacturing process in the heart of Tuscany. 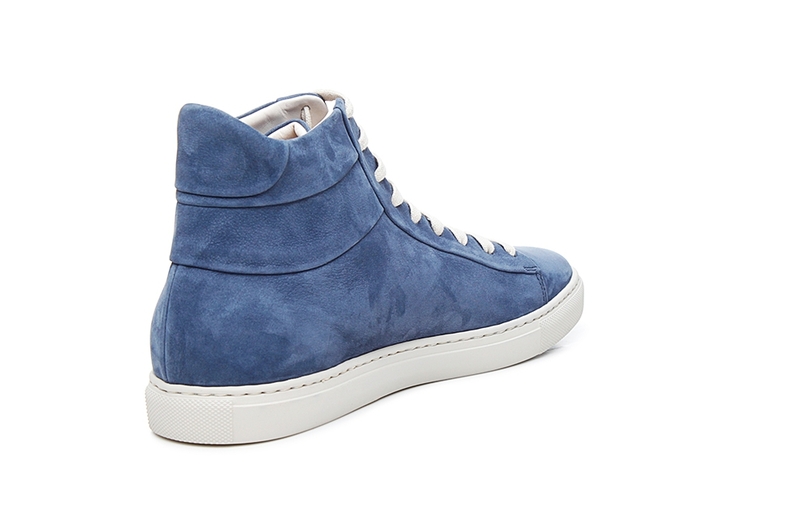 These high-top trainers are made of sturdy and yet soft dark blue nubuck leather. The white laces on the open nine-eyelet lacing and the light grey synthetic sole serve as accents to the top of the shaft, which is darker. A further characteristic quality of these trainers is the shaft, which reaches above the anklebone and ensures stability for the foot. 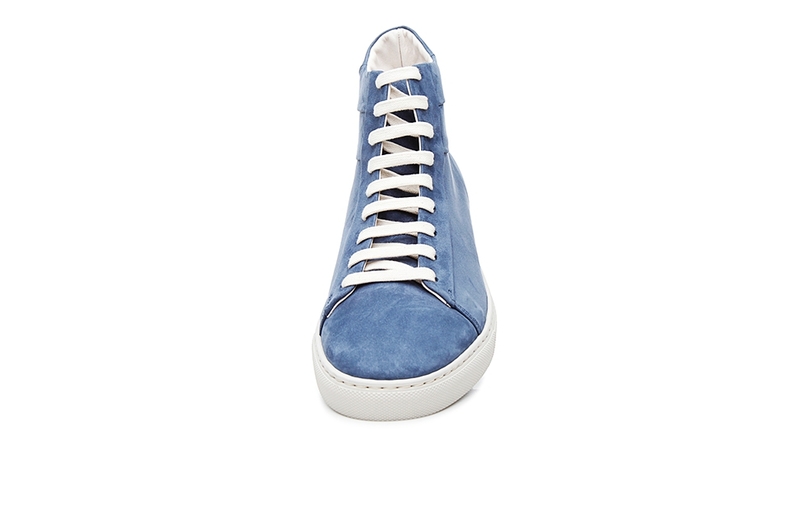 The shoe becomes even more stable once laced-up to the top. 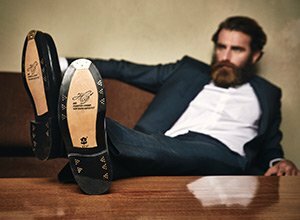 Furthermore, the soft footbed guarantees wearing comfort and prevents rapid wearing fatigue. 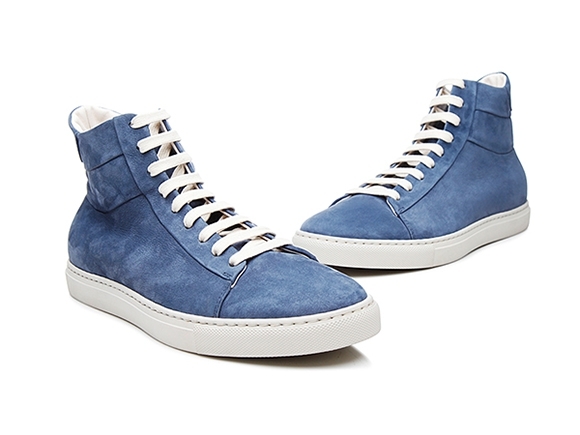 These blue high-top trainers are primarily suited for leisure activities. Thanks to its high-quality design and subtle embellishment stitching on the shaft, model No. 42 MS adds a refining quality to any informal outfit. 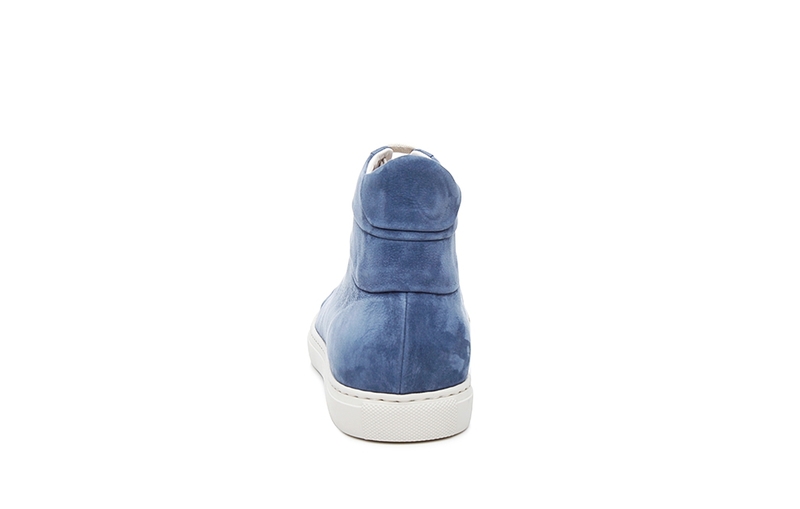 The colour and material allow these shoes to be combined with a number of different styles and fabrics. 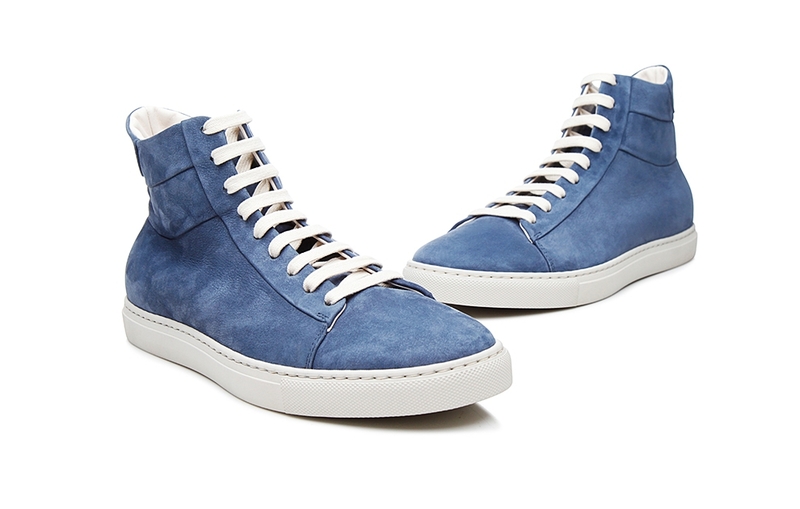 Tip: fans of nonchalant style should try leaving the top of the trainer unlaced. ‘Trainer’ is a catchall term that refers to athletic shoes. These types of shoes were first produced in America in 1860. Known for their flexible rubber soles, these comfortable shoes were originally created for track and field events. 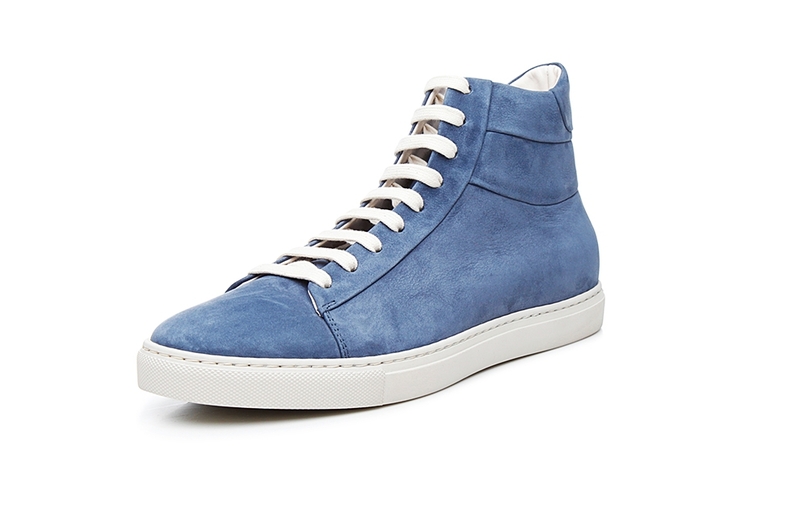 Trainers have been popular everyday shoes since the 1960s. Today they are available in all kinds of forms and colours—the trainers in our collection, for instance, are special premium models. The trainer last is very similar to the sporty last — it also ensures wearing comfort at the ball of the foot. 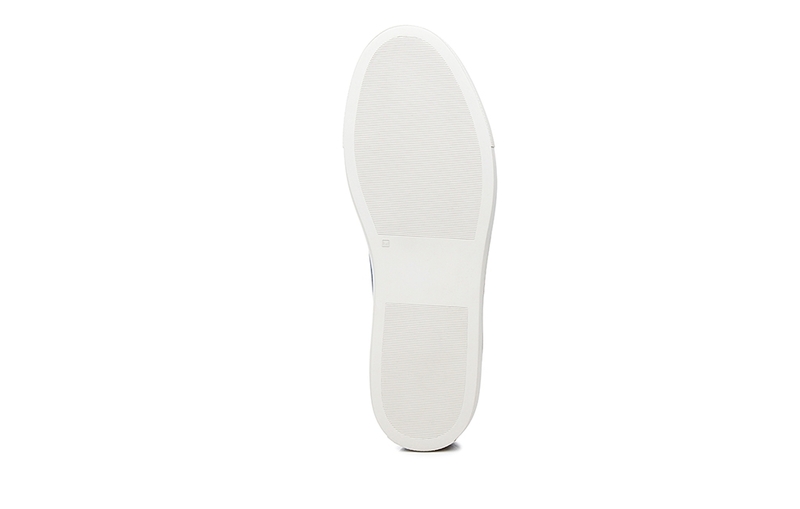 This type of last is distinguished by a gently rounded toe cap, flat instep and roomy overall width. 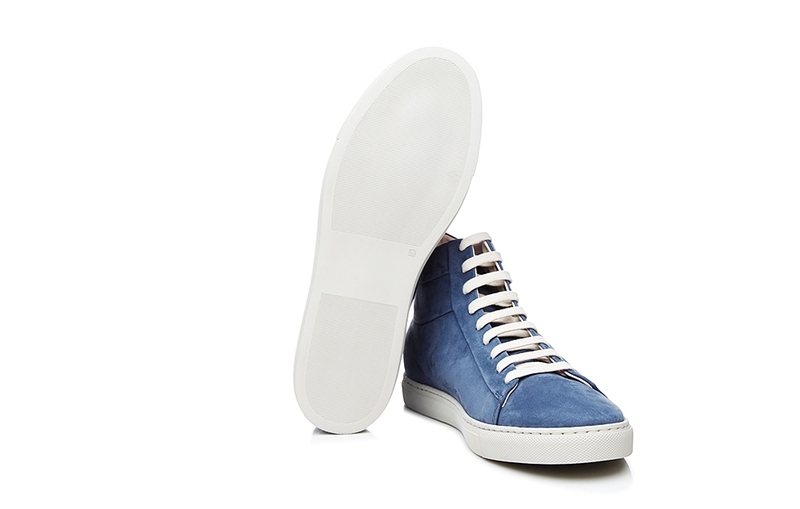 Suitable for average-width feet. Processed nubuck is a particularly fine type of rough leather, and has short fibres. Taken from the grain side of calf hide, nubuck is velvety, soft, and resistant to dust. It is correspondingly easy to care for—simply brush the leather regularly with a suede brush. The models in this collection are the products of traditional Tuscan handicraft. These dreamy, Blake-stitched shoes are made from the finest leathers, and boast truly stylish designs. 100% made in Italy. Our passion for our products is reflected in their packaging. All of our shoes come in an elegant green shoebox emblazoned with the SHOEPASSION.com logo. Furthermore, it is easy to grab, thanks to a special opening on the side, and comes with a few thoughtful details.